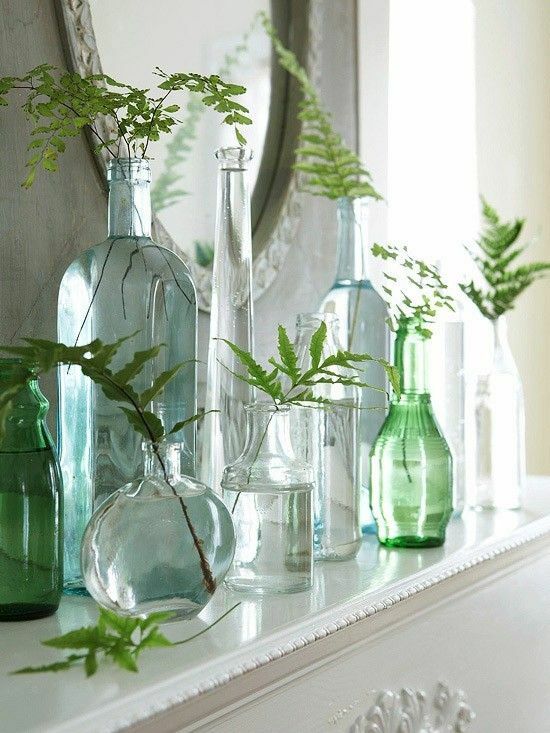 Today I'm sharing a crazy easy decorating idea that I love! 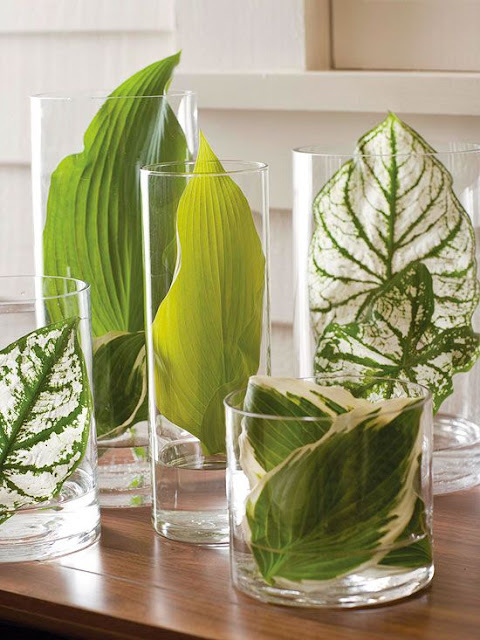 Place simple green leaves from your yard or garden in glass vases. Yup, that's it. No trips to the florist or spending $25 on flowers that quickly die. 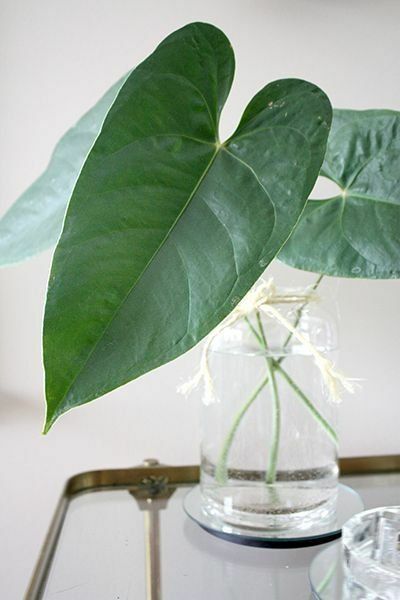 Just place cut green leaves in a vase with water and done. And with little effort, I'm amazed at the beauty these simple arrangements offer. 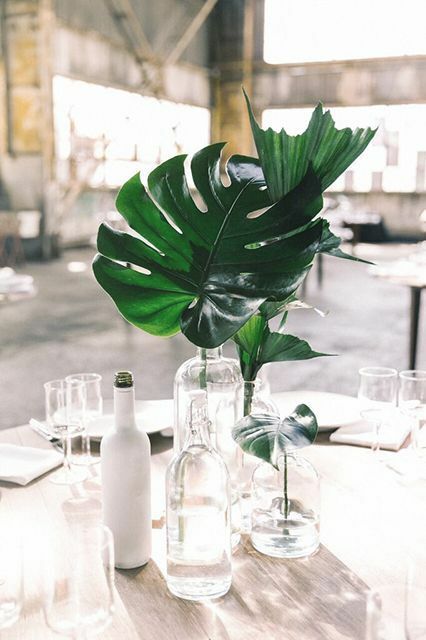 Check out these pretties all sourced from one of my favorite places for design inspiration...Pinterest! Ahhh, I am swooning! 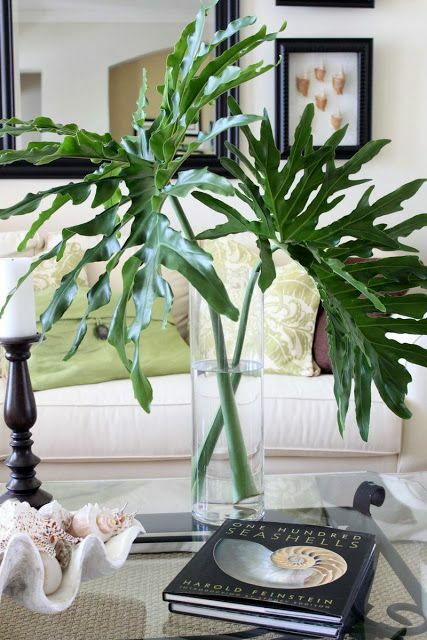 And if your home is decorated with neutral home furnishings and accessories, then a fresh pop of green is the perfect accent in neutral spaces. Okay well we don't have tropical palm plants in our yard. 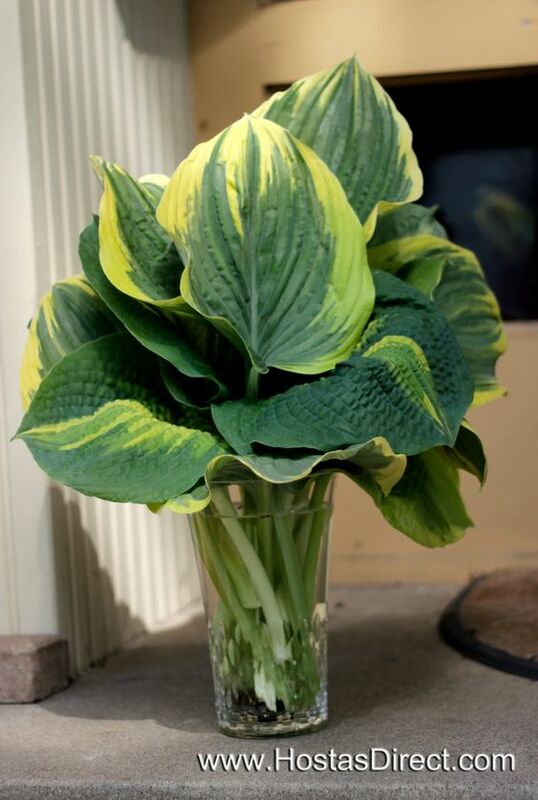 But we do have Hostas, Elephant Ears and Ferns. 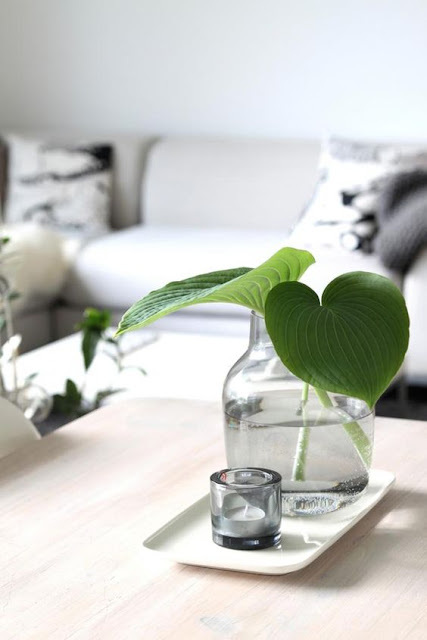 I seriously have a passion for simple & chic decorating ideas like this!